After popping the lid onto my coffee recently at the counter at Green Street Coffee, I did as I normally do. I followed up my thank you with a question. The other barista handled the next customer as I slid along the counter to hear Kevin Melvin remind me exactly why we were tasting butter at a brew school class several months ago at Green Street Coffee at 11th and Spruce. The presence of most of the assorted goodies on hand—cacao, vanilla, dark cherries, and even a piece of leather, all in little plastic baggies—to help our palates suss out flavors made sense. As a regular at Green Street since they opened in 2013—as well as a frequent visitor to Shot Tower and Elixir—I had grown accustomed to finding more and more flavors in my coffee. And then, at that brew school coffee sampling event, I put a bit of it on my tongue and, after a moment, I tasted the coffee. And there in each subsequent sip was something I was previously ignoring. Flash forward to the other day as Melvin broke down why I had tasted anything remotely similar to butter. “When you have a coffee with a heavier, denser body from French press or a brew method similar to that, it’s because you not only have dissolved solids but also suspended solids. Sometimes that adds to the body of a coffee. The suspended solids—that’s why you get that oily, buttery body,” he says. So whereas regular drip coffee or Chemex pour overs offer the lighter, watery body that most of us are used to, on the other end of the spectrum, he says, is the buttery body you get from the emulsion created during high pressure espresso extractions. “Sometimes, depending on how the coffee is processed or roasted, you can still get a kind of buttery body,” Melvin says. That was just a quick bit of knowledge I picked up in under two minutes right after getting my coffee the other day. Green Street Coffee’s Coffee Lab is almost ready. Having started close to zero at the same location back in 2008 when it was Spruce Street Espresso—one of the shop’s that brought the so-called third wave of coffee to Philly—it’s easy to continuously add to your coffee knowledge when the people at Green Street are on that very mission, albeit with a little more intensity than me or you. As such, Melvin, a Green Street employee for over two years, just returned from Barista Camp in Tucson, Arizona, where he crammed in 14 hours of classes that he’ll supplement with two online courses in order to complete his barista level 1 certification with the Barista Guild of America. 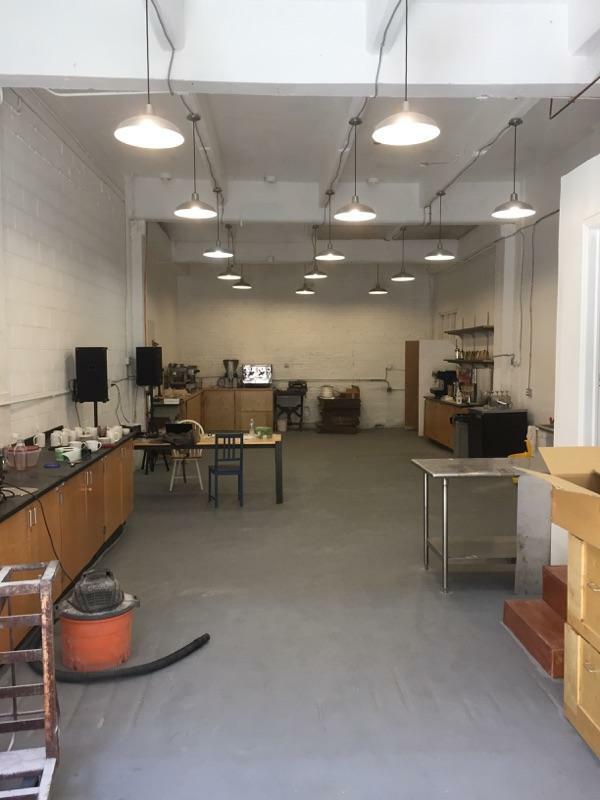 And to help expand Philly’s coffee knowledge, Green Street is opening a coffee training and R&D lab in the space adjacent to their roaster at 1919 Alter St. in South Philly.